We like to think that we are the only truly intelligent beings on our planet, but that is certainly not true. 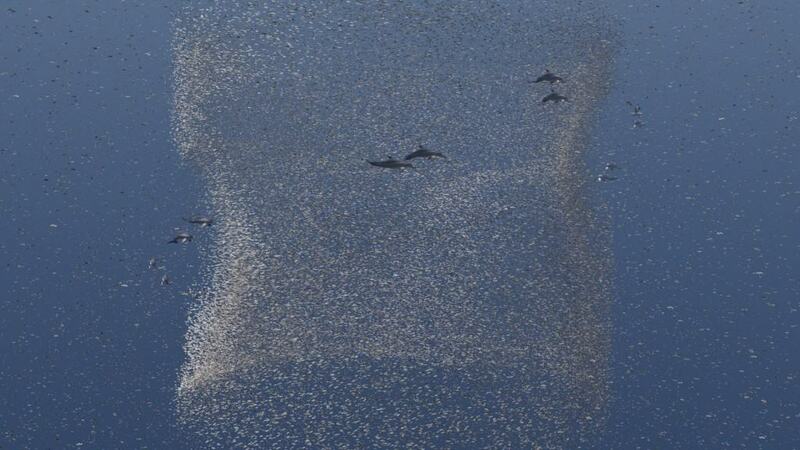 Every animal in nature displays varying levels of intelligence and no animal has impressed us as much as Dolphins. Using a complex interpretation system, scientists have recently proven that Dolphins are capable of communicating intelligently with each other. They are also extremely friendly and are also capable of communicating with human beings as well. They look like they are always smiling and can also perform complex tasks on command. Dolphins are one of the most fascinating mammals in the seas and this list features 10 of the most interesting facts about Dolphins. Dolphins are extremely smart when they are hunting in nature. They circle schools of fishes in order to create a tight ball and then take turns feeding on this ball with great ease. 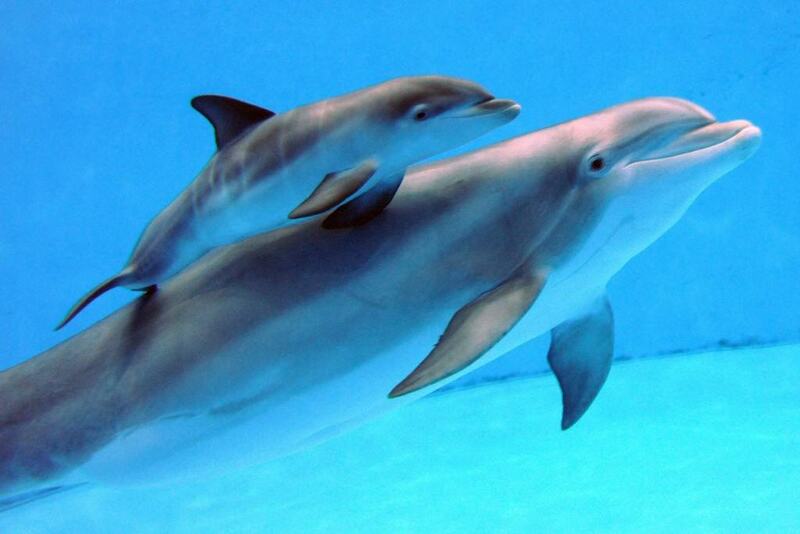 Dolphins need to breath air in order to survive, but every dolphins capacity for breath control is different. Some need to breathe every 20 seconds while others can hold their breath for 30 minutes. 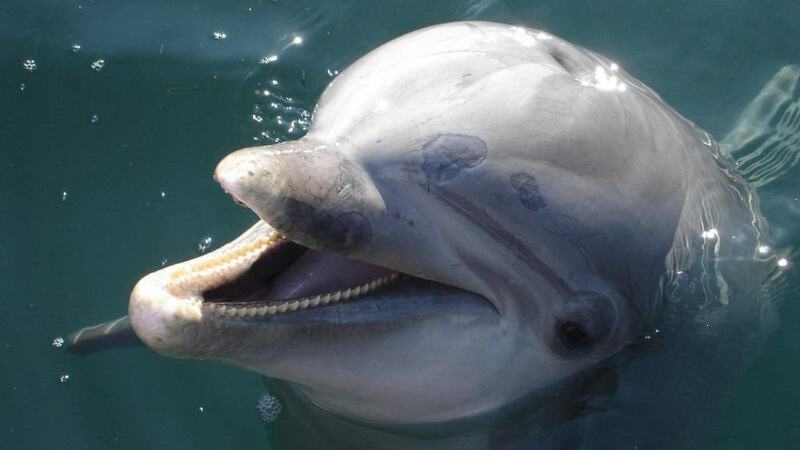 Breathing is an involuntary exercise for humans but Dolphins have to consciously take every breath. Due to this, they cannot go to sleep fully. They let half their brain sleep at any time, while the other half is awake and takes care of these functions. They end up sleeping 8 hours a day like this. As they have to consciously take every breath, they can also make the decision to not breathe in order to commit suicide. 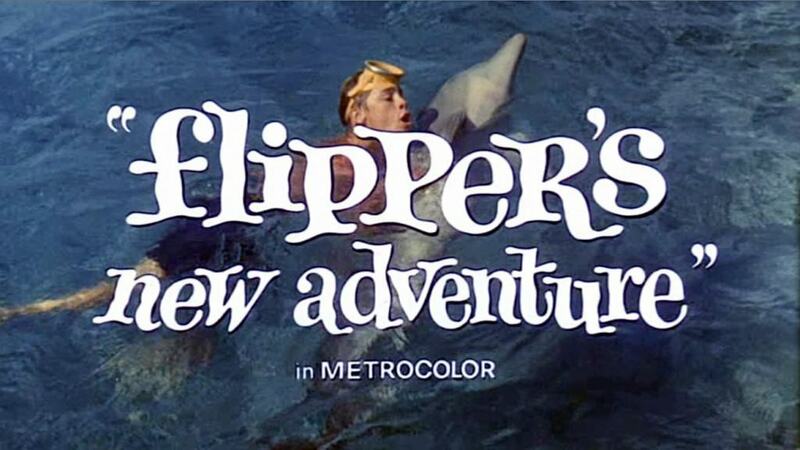 The dolphin that played ‘Flipper’ in the hit television show committed suicide because it was not being treated properly. The oldest dolphin held in captivity was Nellie. 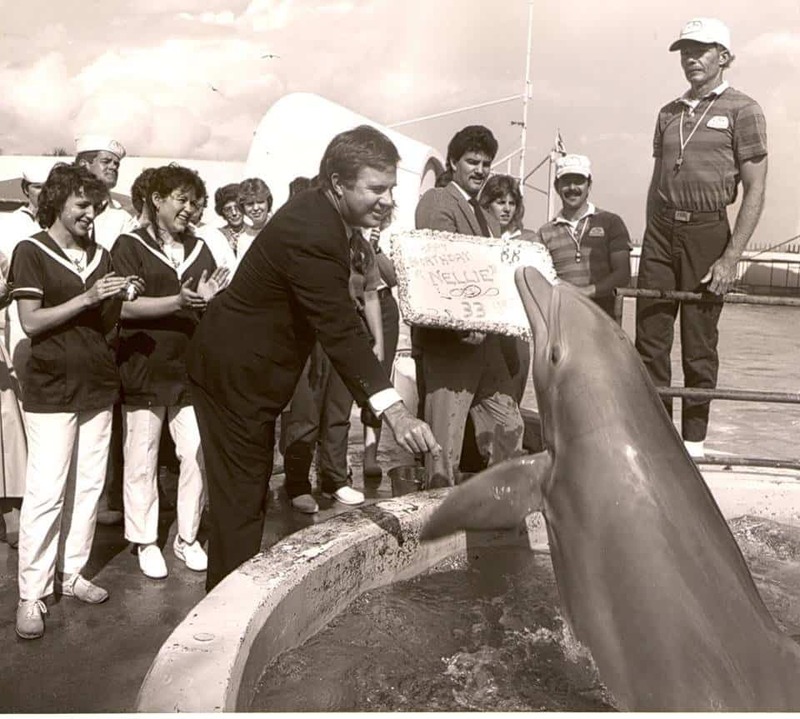 She lived to be 61 years old and was kept as Marineland’s Dolphin Adventure, Florida. A lot of people have reported dolphins taking an effort to make friends when they meet them in the wild. Dolphins are naturally playful and friendly animals that like playing with seaweed and other animals. 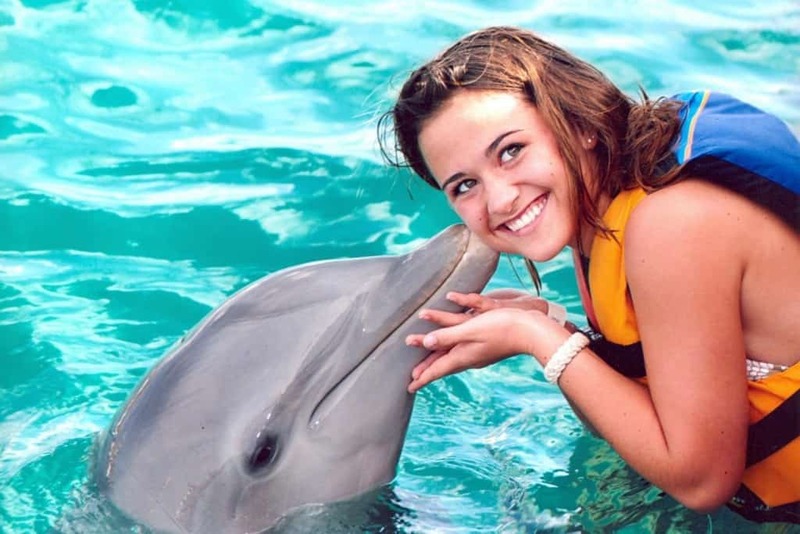 Dolphins have also made friends with cats and dogs. 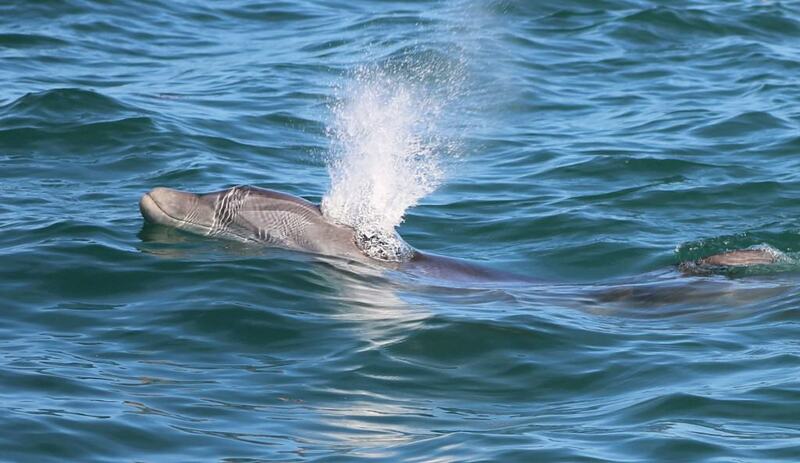 Dolphins are the only creatures in the world that give birth tail first instead of head first. 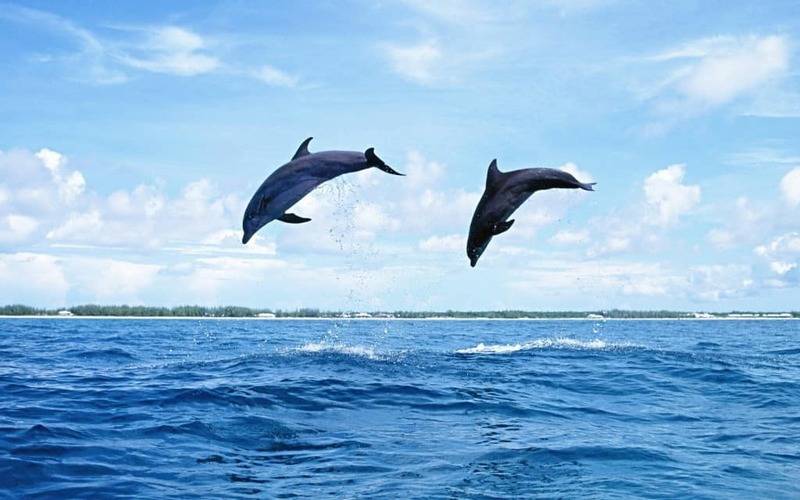 Dolphins have a tremendous leap when they jump out of water. They can jump as far as 20 feet in the air at times. 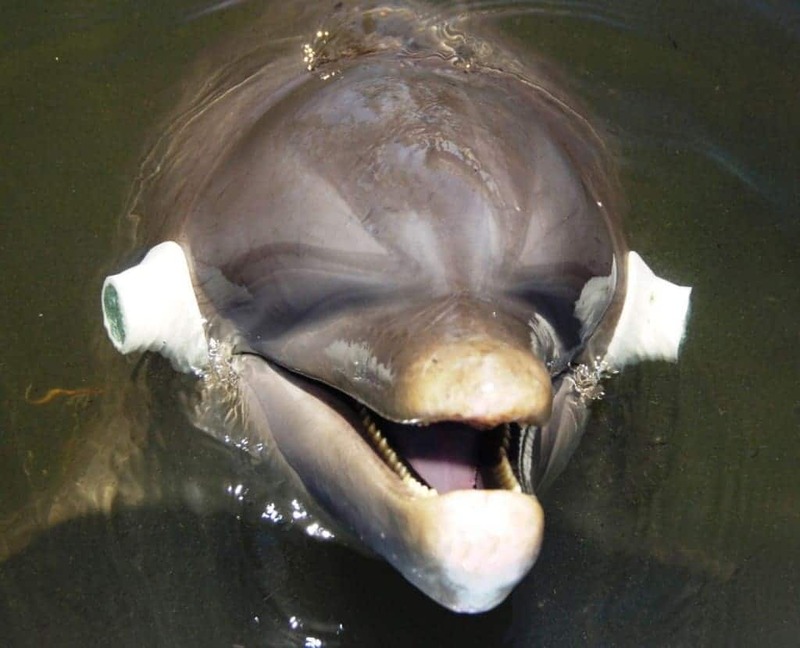 Dolphins use echolocation in order to easily find food and navigate their way through the seas. 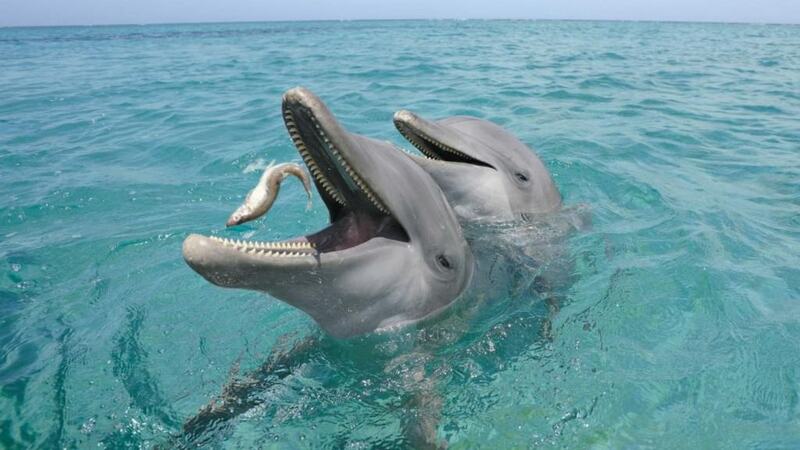 Dolphins have quite a great appetite and are known to eat at least 30 pounds of fish every day.